It doesn't seem possible but we are getting ready for Thanksgiving already. Bloggers belonging to The Classroom Clique have organized a blog hop with special Thanksgiving treats just for you. Hop from blog to blog to get ideas, read about traditions, find delicious recipes, and grab some great freebies! Please be nice and leave some sweet feedback if you download any resources. This will encourage bloggers to create more freebies for you! Start hopping and hurry! The blog hop is only for the this weekend Friday, November 13th to Monday, November 16th. After Monday many of the freebies may revert to paid products! Being thankful, having an attitude of gratitude, is the key to happiness. Think about all the blessings you have, count them off in your head and teach your kids to focus on their blessings too. That's a true celebration of Thanksgiving! Every year my grandkids and I get together a few days before Thanksgiving to make some festive decorations for the holiday table. 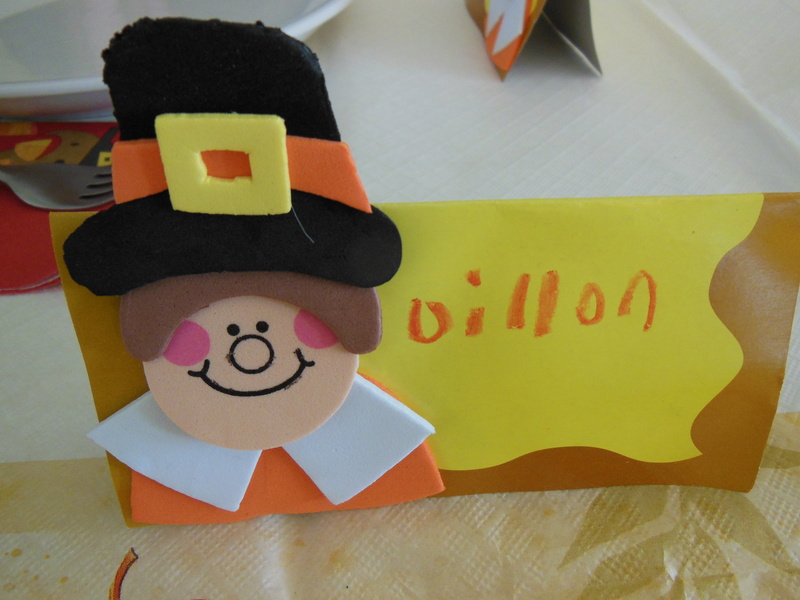 A favorite craft is making place cards for every member of the family having dinner with us. First, the kids write a list of family members who will be there. Then we design this year's place card and get to work. 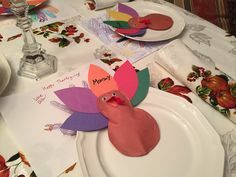 When the table has been set, the kids take their creations and place one next to every plate. I wish you could see the looks on their faces when they hear the oohs and aahs as people enter the dining room. It's a real source of pride. A place card made from a foam craft kit. Two turkeys cut from construction paper, stuffed with small pieces of newspaper and then stapled together. Decorate with moving eyes, a beak, a waddle and feathers with the name of a family member. Do you like cranberry sauce? 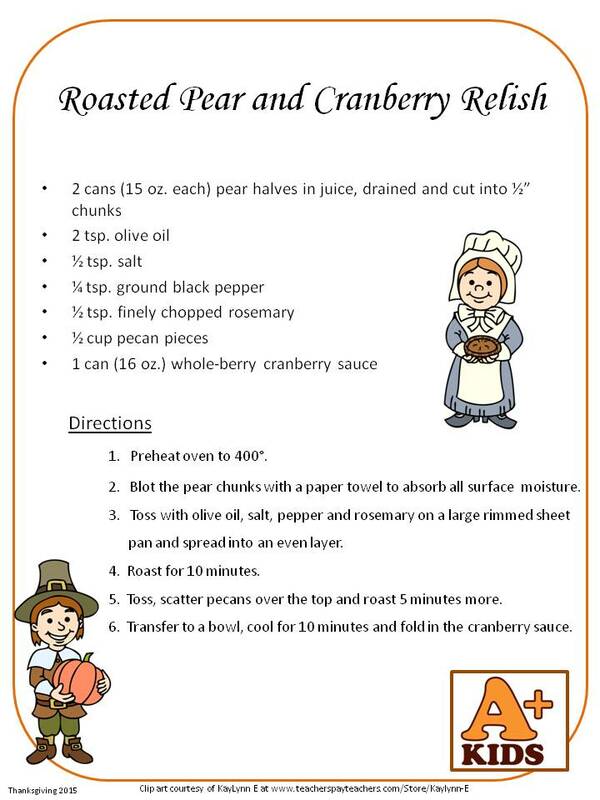 Here is a recipe for cranberries and pears. It is soooo delicious. It's one of those recipes that is simple yet makes you look so smart. Your guests will love you. If you try it, let me know what you think. Click on the recipe for a better look. A Thanksgiving story. A reading comprehension resource. 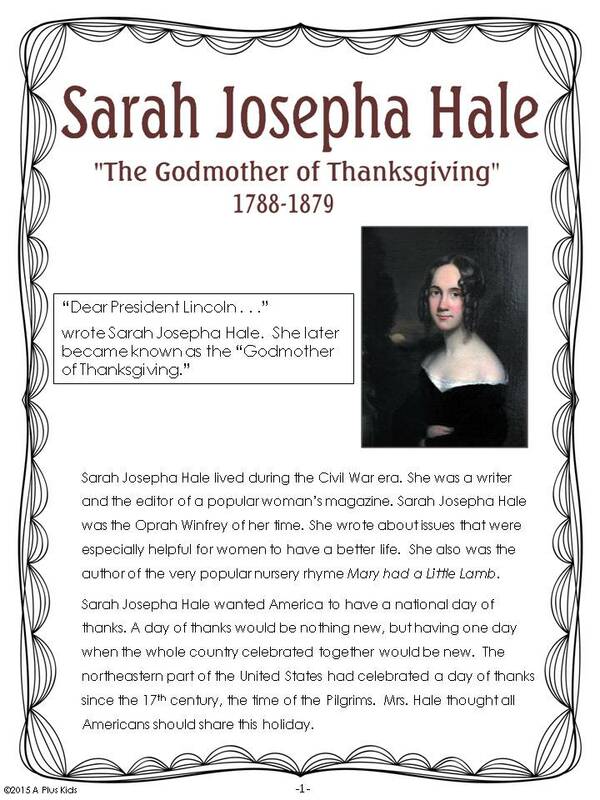 Sarah Josepha Hale is often called “The Godmother of Thanksgiving” because she lobbied American presidents to proclaim Thanksgiving a national holiday. Finally, a president agreed with her. 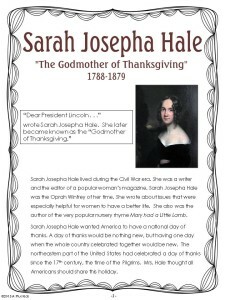 President Abraham Lincoln declared Thanksgiving a day of national thanks in the midst of the Civil War. Click on the cover's image to grab your free copy of the resource. 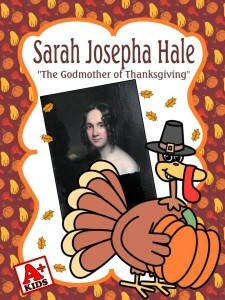 It's a great Thanksgiving story. Click on the buttons below to visit other blogs participating in the hop. Be sure to hop to every blog to grab holiday ideas, recipes and freebies. 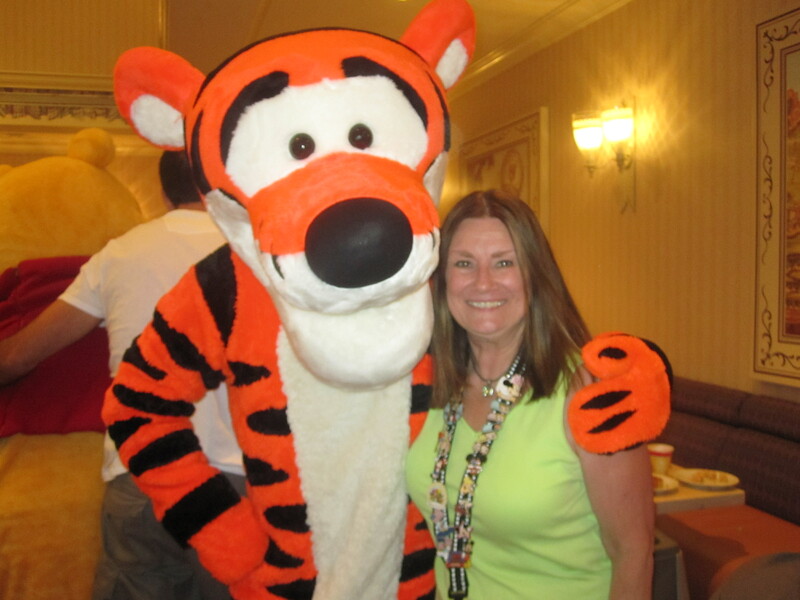 When you get back to my blog you will have completed the entire blog bop! Invite your friends to enjoy the Thanksgiving hop as well! Remember the fun only lasts for the weekend! 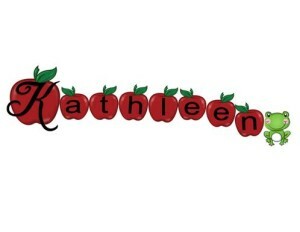 Posted in Blog Hop on November 13, 2015 by Kathleen.